The much anticipated iPhone X (also known as iPhone 10) is here. In this post, we have discussed the specifications & features of iPhone X, its price and when the smartphone should go on sale. Keep reading. 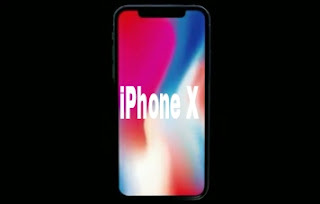 After much time had been spent waiting for the launch of iPhone X, on Tuesday, September 12, the smartphone was launched alongside iPhone 8 and iPhone 8 Plus, and was also given an alternative name known as iPhone 10. It was indeed a special and memorable event as it marked Apple's 10th Anniversary. Speaking of specifications, iPhone X, iPhone 8, and iPhone 8 Plus are similar. However, there must be something unique about each and every single brand/model of Apple's new flagship iPhones, and in this post, all the basic info you need to know has been discussed. • Non-removable Li-Ion battery with up to 21 hours talk time and Music play up to 60 hours. In Apple Smartphone Company, iPhone X (iPhone 10) is the first smartphone to feature an edge-to-edge screen display. This feature was recently rolled out to the Galaxy Note 8, and now Apple iPhone X has it. The iPhone X is sealed and designed with the new “all-glass” feature built with Surgical‑grade stainless steel making it support wireless charging with the Qi charging standard. Aside from its wireless charging support, with the new scratch-resisting all-glass design, it also features Apple's True Tone display tech, Wide colour gamut display, 3D Touch display, Dolby Vision, and HDR10. 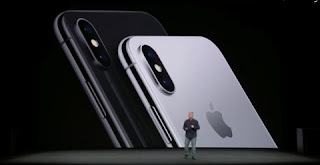 Of course, with glass built with Surgical‑grade stainless steel on both faces (front and back) of the smartphone, makes it water and dust resistant. According to Apple, “the glass is the most durable glass yet to be featured by other smartphones”. pixels resolution, being the now highest screen resolution featured by Apple's iPhone. Say goodbye to home button. iPhone X is all-screen, having no physical button, unlike previous iPhone models. Just a single swipe will take you home from anywhere. OS: iPhone X was made to run on the latest iOS 11 Operating System. With this iOS 11 OS put together with other features makes iPhone X the smartest iPhone ever seen. Processor: The iPhone X is powered by the incredible superhuman intelligent Apple A11 Bionic chip, the smartest chip ever in a smartphone, with a neural engine capable of performing up to 600 billion functions per seconds. It has six CPU cores and 4.3 billion transistors. Its CPU cores are divided into two, the four efficiency cores with its performance of up to 70 percent faster than the A10 Fusion chip, and the two performance cores of up to 25 percent faster. Also, is the all-new Apple-designed three GPU cores with improved performance, up to 20 percent faster than A10 Fusion. 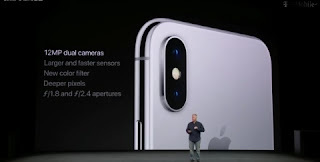 At the back of iPhone X are the Dual 12MP cameras, the wide-angle and telephoto cameras, just like the iPhone 8 Plus. Each of the rear cameras has its own aperture. The wide-angle camera has ƒ/1.8 aperture while the telephoto camera has a ƒ/2.4 aperture. Both cameras support Optical Image Stabilization (OIS) and fast lenses for shooting quality photos and videos. 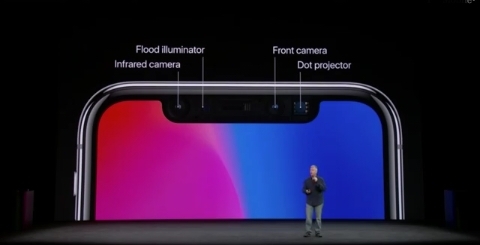 Both cameras on iPhone X allow Optical zoom, as well as Digital zoom of up to 10x for pictures and 6x for videos. The Front-facing (secondary) camera of iPhone X is the all-new ‘TrueDepth camera’ having 7MP, featuring f/2.2 aperture, and the A11 Bionic chip's built-in neural engine. The camera also features the new Portrait lighting mode which helps in producing impressive studio-quality lightning effects. With TrueDepth camera alongside the A11 Bionic chip, you can shoot selfies with real depth effect that will place your face in sharp focus even when the background is blurred. Send out your expressions with the new Animoji feature also known as animated emoji. The TrueDepth camera captures and analyzes more than 50 different muscle movements, then tallies your expressions in any of 12 different Animoji. Apple has dumped the implementation of Touch ID, instead, Face ID recognition is being used. iPhone X is the first to feature Face ID technology. Your face is now your password and with it, you can unlock, authenticate and pay. 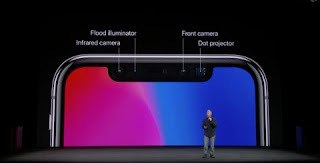 Face ID is empowered by the TrueDepth camera, it projects and can examine more than 30,000 invisible dots to create an accurate depth map of yo ur face. Face ID can be used with Apple Pay. iPhone X will be available in two different colours, Space Gray and Silver colours. As expected, Apple has announced that pre-orders of its new iPhone X will begin on 27 October, unlike iPhone 8 and iPhone 8 Plus whose pre-orders begin on September 22. 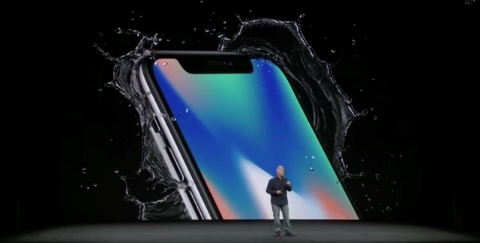 Apple has also announced that the iPhone X will begin its shipping on 3 November. Just like the iPhone 8 and iPhone 8 Plus, iPhone X will be available in two variants, the 64GB and 128GB configurations which will cost $999 and $1149 respectively. 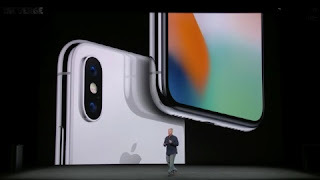 So above is every important features you need to know about the new flagship smartphone of Apple, the iPhone X also known as iPhone 10. You can also check its features and price on Apple's Official Website. Tags: iPhone X, iPhone 10, iPhone X specs and price in USA, iPhone X release date.